What is your definition of luxury? For some, it is a new sports car, diamond ring or infinity pool. For most people, however, it’s the opportunity to live a little differently for a few days and indulge their every whim. And isn’t that what a holiday is all about? For some, a luxury vacation may mean a night at the Palazzo Versace Gold Coast, but for others, it’s a long weekend or weeks on end at a top quality beachside resort. 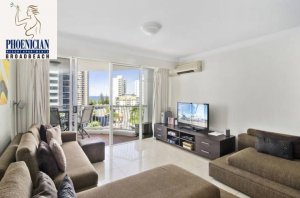 Whatever your preference, you’re sure to find it when you search holiday accommodation in Broadbeach. My idea of luxury doesn’t include priceless jewels. For example, having clean fresh towels every day is a luxury. Sleeping in a huge bed is a luxury. Walking just 100m to the beach, or to a top restaurant, is a luxury. Getting up whenever you feel like it, and having no set schedule for the day, is a luxury. Gold Coast luxury resorts offer the opportunity to enjoy all this, and more. And they are more affordable than you may think. Remember, the price you pay for your apartment covers all your accommodation, plus use of resort facilities, including swimming pools, spas, saunas, gym, games room and more. And the price you pay is for the apartment – not per person. Unless you are very lucky, the chances are you don’t have luxury pools, saunas and spas at home, so using those facilities every day is a treat in itself. The lavish accommodation of some resorts may be a bit of an upgrade on home, too! If you are holidaying on a budget, but still want a touch of luxury, holiday accommodation in Broadbeach is probably the way to go. Even if you only come for a long weekend, because you are in the middle of the action, you can fit so much in. And if you gather together a few friends or family, you can make it even more cost effective by splitting accommodation costs. If you need an excuse for trying out Gold Coast luxury resorts, just pick an event – there are so many. Broadbeach is home to the Gold Coast Convention Centre, which hosts exhibitions and concerts, and accommodation close-by includes the Phoenician Resort. Then there are events such as Blues on Broadbeach, which takes place in May, and this year features an incredible line-up, with Bonnie Tyler, Ian Moss, Slim Jim Phantom, Kevin Borich and the Cheap Fakes. If it’s sport you’re into, you’re spoilt for choice on the Gold Coast. From championship golf to polo to Supercars to the Quiksilver and Roxy surf pro, there are plenty of excuses to come and stay at Broadbeach for a weekend or weeks on end. 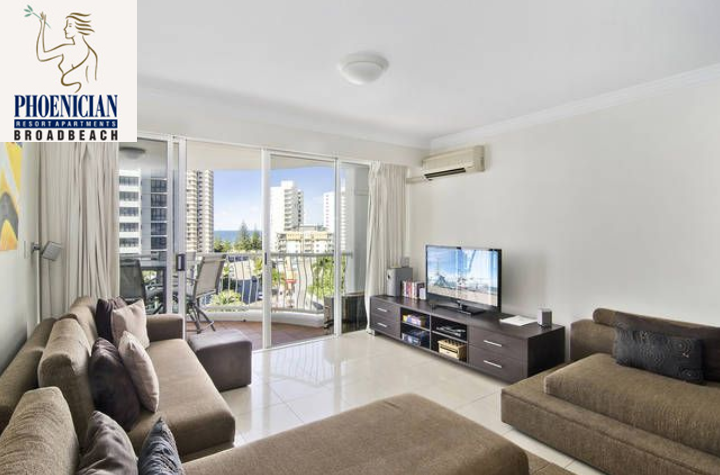 Another great thing about holiday accommodation in Broadbeach, is that it’s close to everything, and transport is easy. Leave your car securely parked in your resort and you can walk to shops, restaurants and events with ease. The car is great if you want to venture further afield, such as the stunning Gold Coast hinterland, or just hop on one of the many great tours.